There are many types of screwdrivers. Choosing the right ones leads to the successful completion of projects and eliminates problems such as stripped screws. 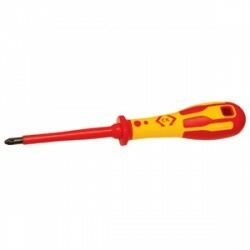 Most types of screwdrivers are designed for use with specific screws that match the shape of the screwdrivers tip. Common tips found on a screwdriver are slotted, cross and Phillips. 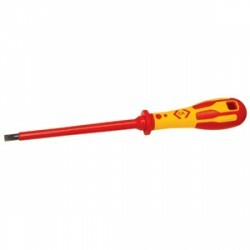 Along with individual Screwdrivers we also offer a range of screwdriver sets from the industries leading manufactures. You'll sure find a good selection of screwdrivers here at UK Electrical Supplies for all types of screw heads however if you have trouble finding the product you require in our tools section give us a call!